Stop in and grab a rail for Christmas. These rails are made by the hairiest young man in Belleville. 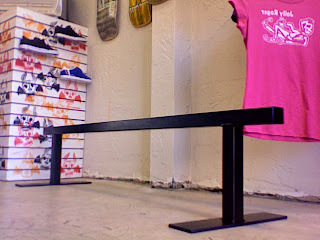 The rail that we currently have in stock is 6 ft. long, 14 inches tall and it costs $125. Buy this one and maybe the hairy young man will make us another. hairy? thats an understatement. the correct word is hirsute.